Dwarka is a sacred city visited by the devotees of Lord Krishna in large numbers throughout the year. Located on the western coast of Gujarat state, Dwarka is deeply associated with Lord Krishna and it is believed that it was once the kingdom of the Lord. It is an ancient city and one of the most important pilgrimage sites of the Hindus. Tourists from India and abroad come to Dwarka to experience its peaceful aura, which has a charm beyond description. During the ancient times the city was called Swarna Dwarka(golden Dwarka) as it was a prosperous city. The city of Dwarka also finds mention in the great Hindu Epic Mahabharata. Famous for its exquisite carvings, Dwarkadish Temple is a beautiful temple dedicated to Lord Krishna. 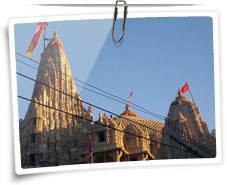 Also known as the Jagad Mandir, Dwarkadhish Temple offers arresting views of the river Gomati. Devotees coming to the city of Dwarka do pay a visit to this temple. Carved out of limestone and sand, the temple is around 170 feet height. It is a five-storied establishment with around 60 pillars. The temple has only two doors which have been named as the Swarga Dwara and the Moksha Dwara. The top of the temple has been adorned by a flag which symbolizes the majesty of the Lord Krishna. Tourists can also visit the other temples in Dwarka such as the Trikamji temple, the Kalyanrai temple, the Patrani temple and the Durvas temple. Also visit Darukvan, the Jyotirlinga. The Lighthouse is one of the wonderful attractions of Dwarka. Steeped in glorious history, the Lighthouse offers breathtaking views of sunsets. Visitors can visit it during the period between 4:30 pm to 6:00 pm. An architectural gem, Sabha Mandapa is truly worth a visit. The striking feature of this establishment is its numerous pillars. The main shrine here has around 60 pillars. It houses some ancient scriptures whose history dates back to 2500 years. Tourists can buy a wide variety of handicrafts from the bustling bazaars of Dwarka. Some of the popular items here are Patola silk sarees, works of Bandhni folk art on fabrics, wedding trousseau, embroidered handicraft items, embellished footwear and textiles adorned with colorful thread work and mirror pieces. By Air: Jamnagar is the nearest airport(146 km). By Rail: The railway station at Dwarka connects it with Jamnagar which in turn is connected with the other major cities. By Road: Dwarka is connected to different place in Gujarat by buses and taxis. 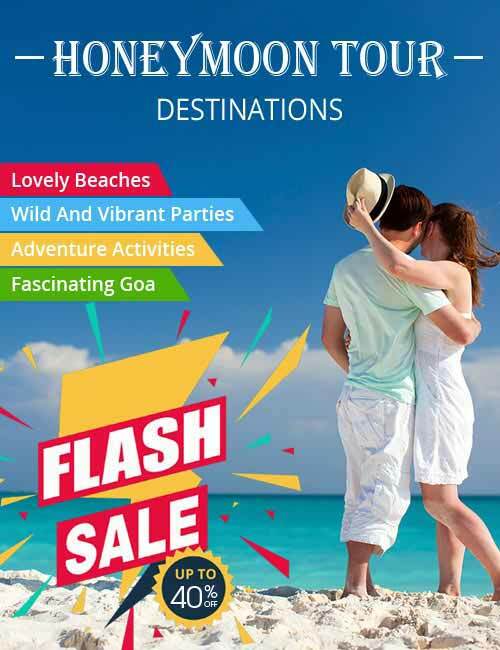 Dharmashalas as well as good hotels are available in and around Dwarka.